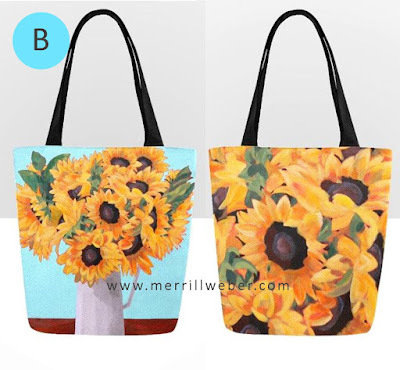 Recently I asked my Facebook and Instagram followers to vote for their favorite sunflower painting tote bag design. 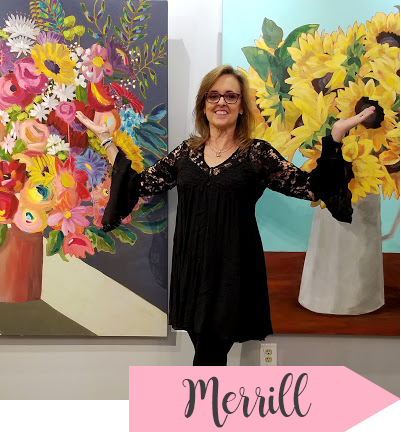 You see, I'm thrilled to have my huge 4' x 5' sunflower painting, "Showstopper," included in the Art of the State exhibition at The State Museum of Pennsylvania in Harrisburg, PA, that you can read about HERE --- and wanted to be able to share my painting with collectors and friends. The votes were all over the place. Some liked A, some liked B and some wanted a combination of both. 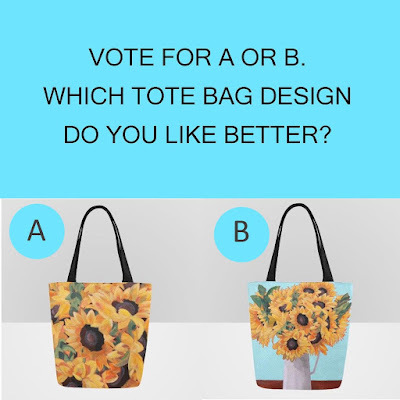 To make everyone happy, I designed two totes and have made them available for purchase HERE. 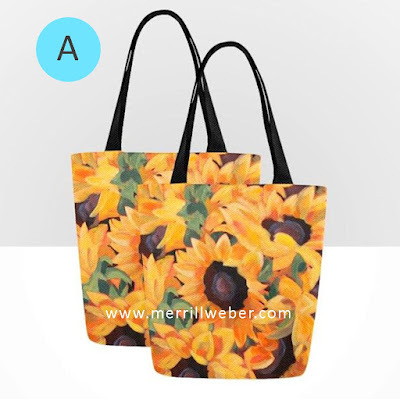 In addition to tote bags, the vibrant "Showstopper" painting is also available on personalized coffee mugs found HERE. 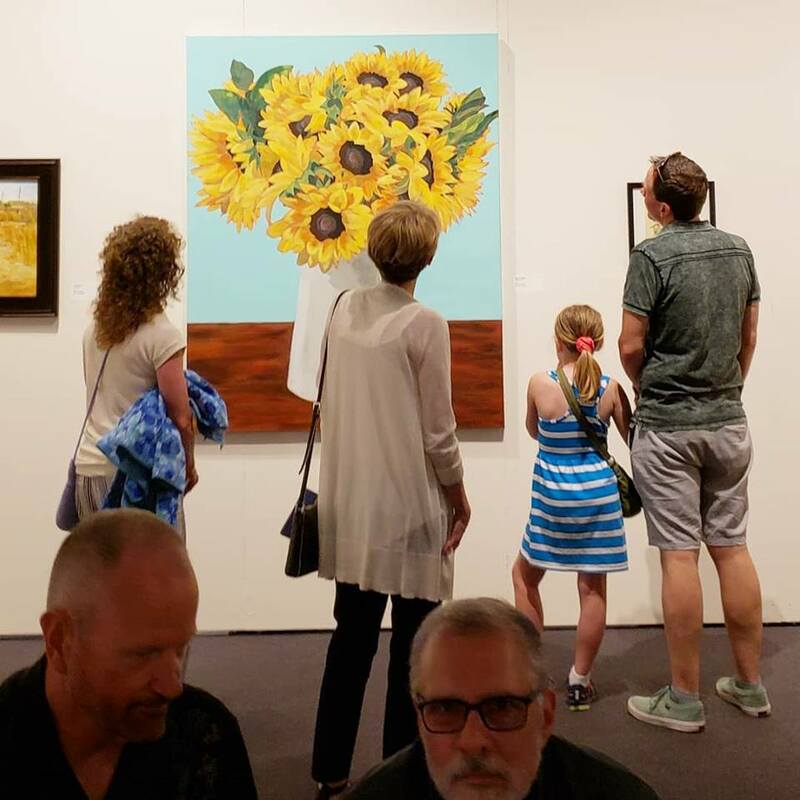 Here's my sunflower painting at the Art of the State exhibition at the State Museum of Pennsylvania. How cool is that?